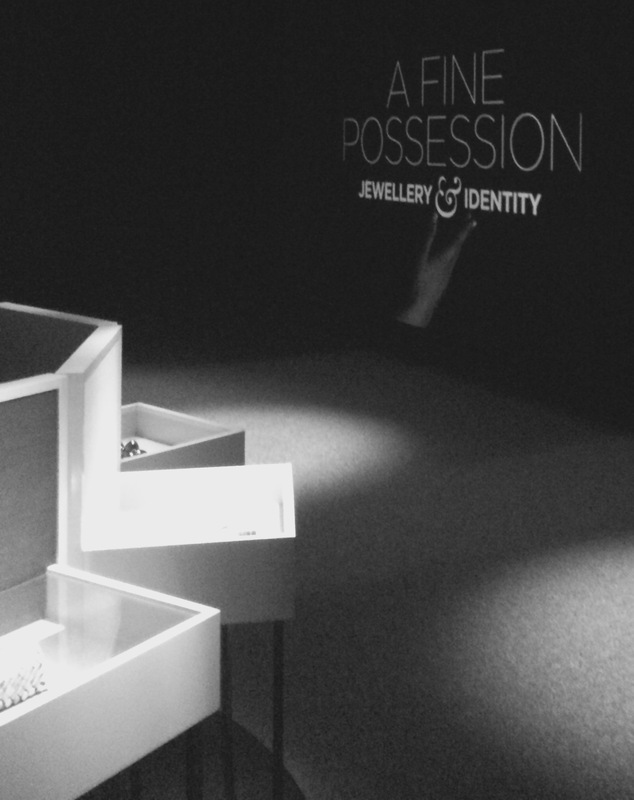 A Fine Possession: Jewellery & Identity is an exhibition on at Sydney’s Powerhouse Museum (Museum of Applied Arts and Sciences). 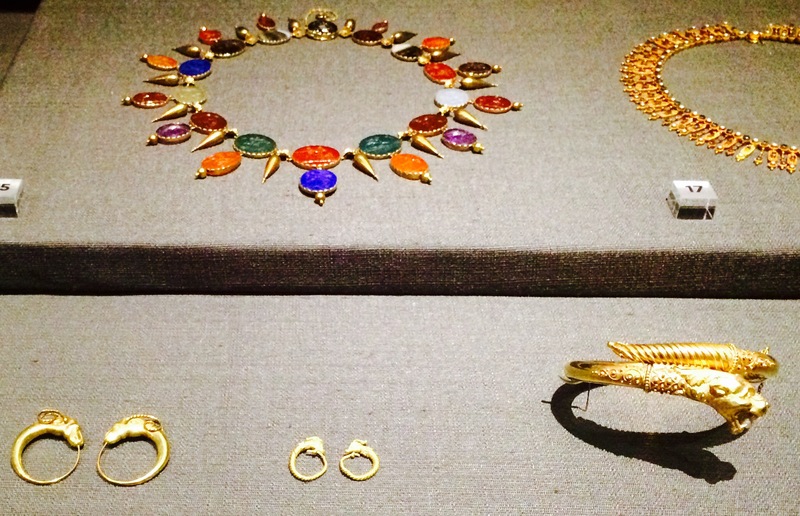 It’s a vast collection of 700 objects, celebrating the central place of jewellery in our lives. They are pieces that have been made, worn and collected in Australia. Treasures make us feel beautiful, keepsakes and heirlooms create memories and help us to remember loved ones. Our jewellery decorates us with our personal, social and cultural standing. Trends and materials change and vary depending on the era or place, and it’s fascinating to see trinkets on display from all over the world, in one place. 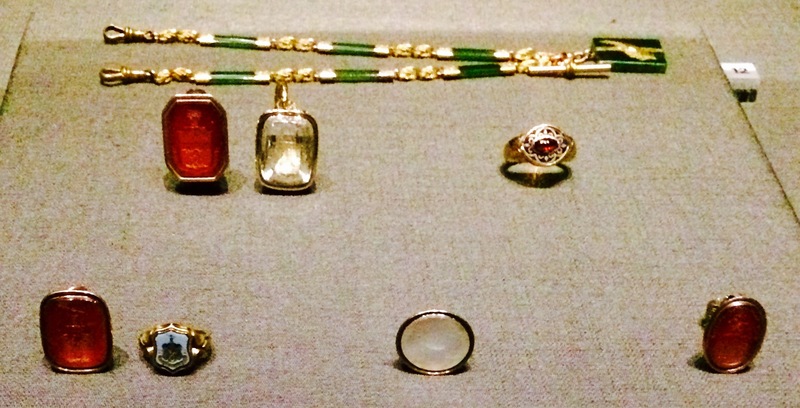 In the gallery there are signs explaining that the dim light is to protect the jewels, but it also helped settle the mind, making it a quixotically romantic, and powerful peek into the world of old riches and relics. Our most treasured jewellery represents so many things to us – celebration, love, loss, travel, hardship, fortune, strength and power. It should tell a story, even if it’s one that will never be told on such a grand scale (and jam-packed with drama, nevertheless). Jet. Black fossilised wood. 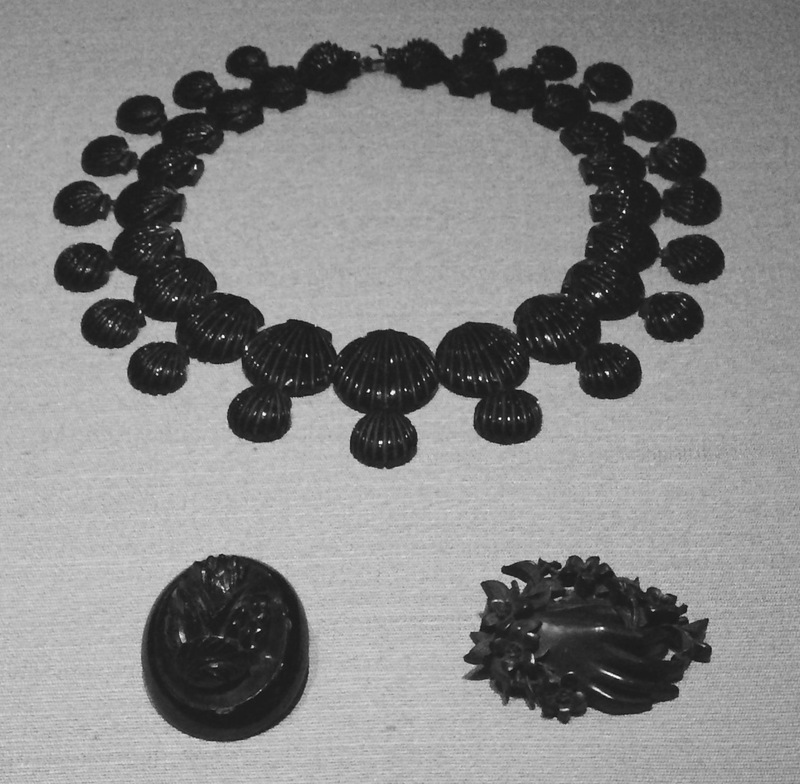 These pieces were customary during the reigns of British Queen Victoria in the 1800s. The more valuable pieces came from the English town of Whitby, exported to Europe, America and Australia. The cheaper, more affordable version came from France and was made from glass. 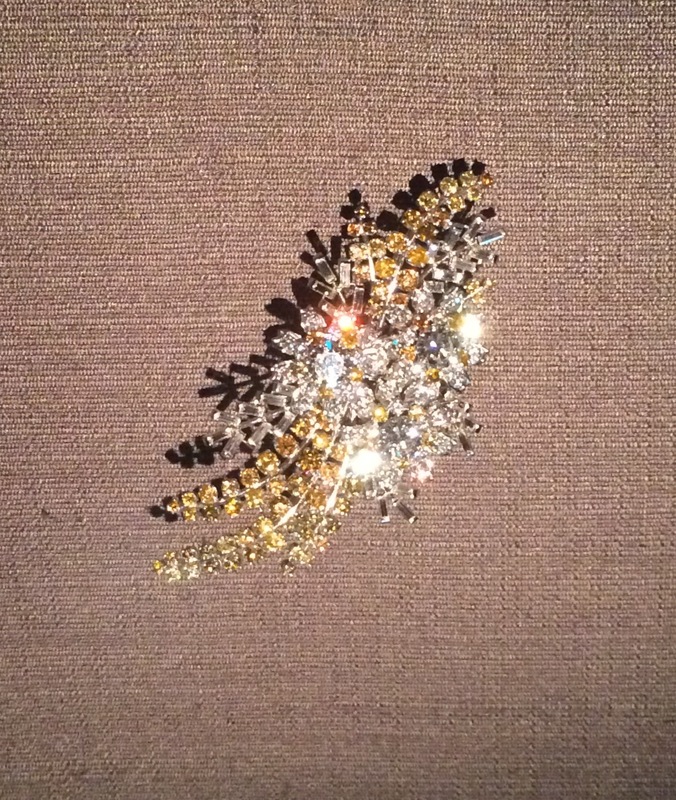 A parure is a matching set of jewellery, usually a necklace, brooch, earrings, and bracelets. 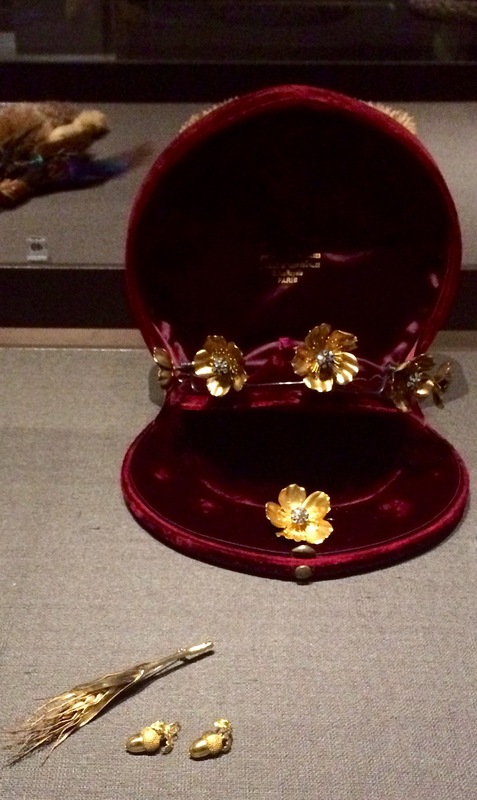 First made and worn in the 1500s, they often took pride of place in jewel boxes of society women in the 1800s. 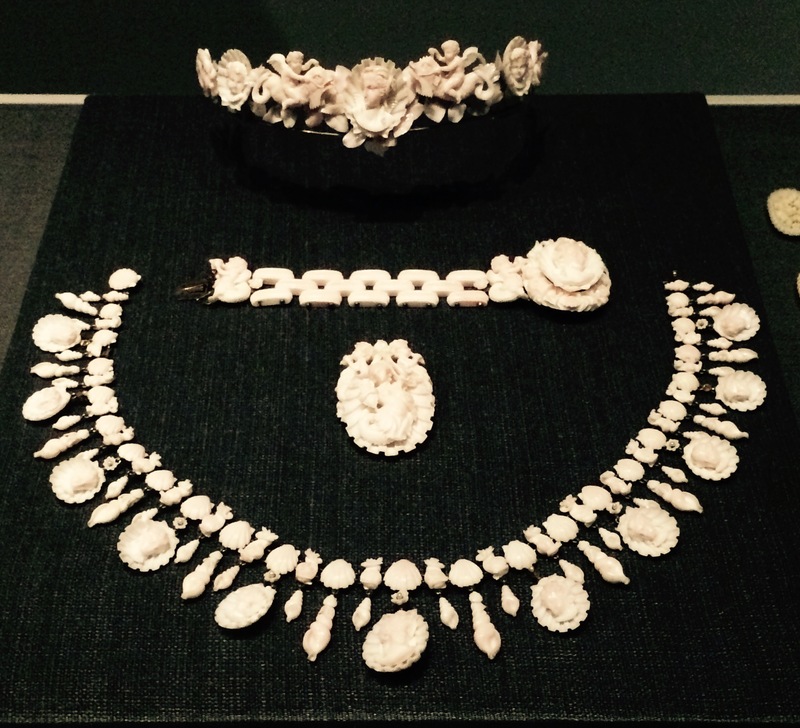 Although opulent in appearance they were often made of the lightest ivory, carved coral, shell cameos and seed pearls. “The gift of a friend whose love for you will never end” – H. Heald 1700-early 1800s. I first became fascinated with love tokens on a recent visit to Port Arthur in Tasmania. 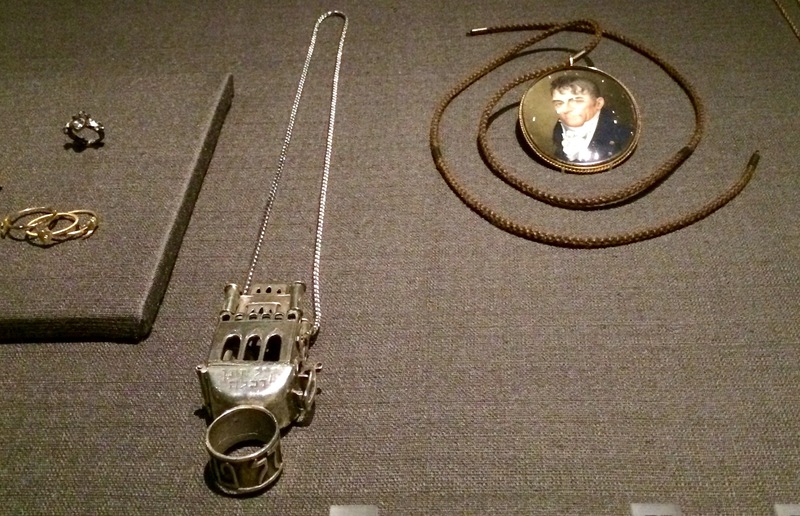 Convicts leaving loved ones would carve out messages or a promise to return on old coins as a parting memento, before being transported to penal colonies. Love tokens are also known as ‘leaden hearts’ and are often inscribed with the leavers own name, their beloved’s name, and a popular verse or quote. Rarely would convict nor loved one ever be reunited. silver, Poland 1900-30s. 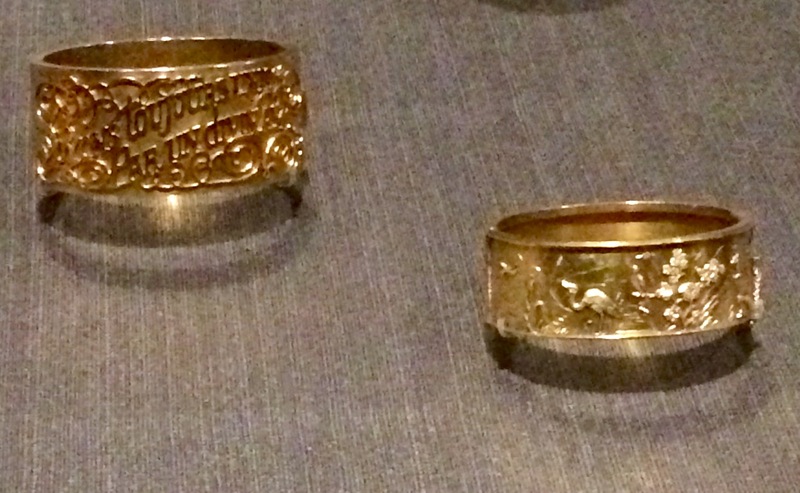 Poor Jewish couples in Poland who couldn’t afford their own wedding rings would share these rings for their ceremonies. This piece symbolised a couple’s new home. Mazel Tov means good luck in Hebrew. The designs of this era remind one of a certain New Zealand designer’s latest creations. Ram head earrings circa 1860 were inspired by the ancient Greek style. Antelope head earrings gold, Greece 300 BCE, Panther arm band (divine). Intaglio necklace: agate, amethyst, bloodstone, carnelian, garnet, lapis lazuli, onyx and gold. Carved in Italy, set in England circa 1870.
left: 18ct gold bangle (left) by Henry Steiner, Adelaide 1878 right: Australia 1880. 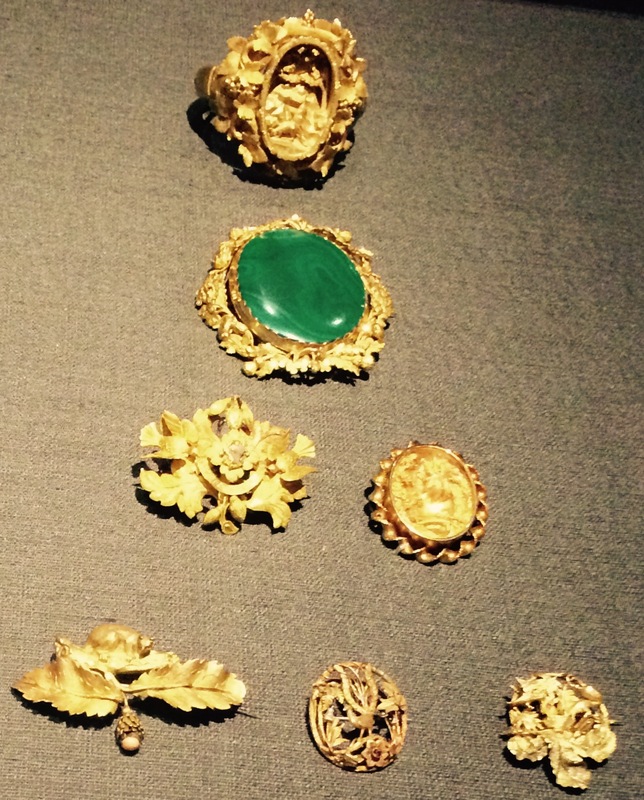 Fobs, rings and seals Signet rings 1700-1800s, England – chalcedony, cornelian, intaglio, sardonyx shell, garnet, enamel and gold. From the Queen’s visit to Australia in 1954 – design includes a sprig of wattle with a spray of Australian tea tree blossom. Made by Drummond & Co. 1954 and lent by Her Majesty the Queen. 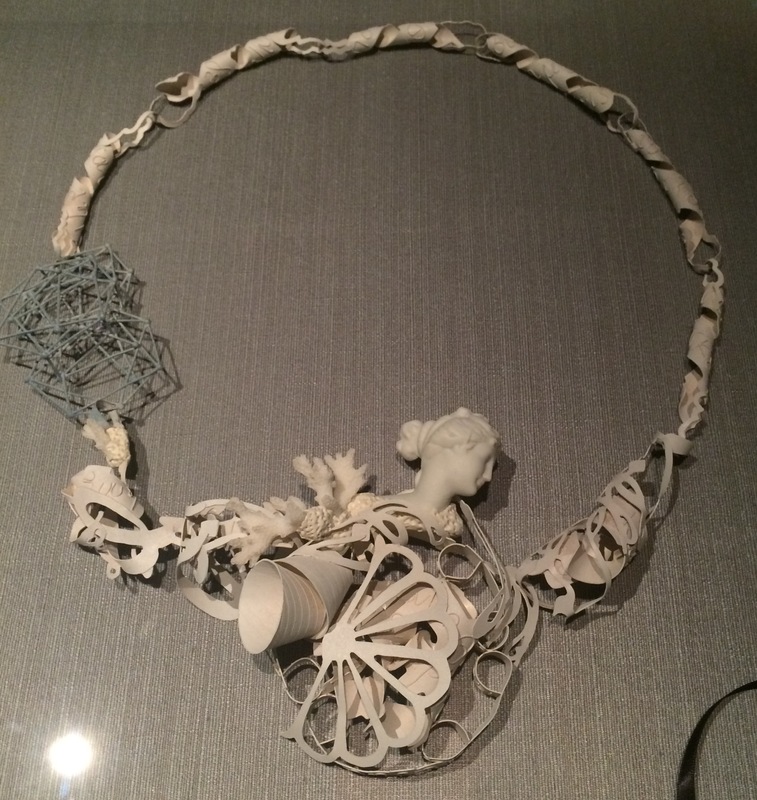 ‘The anamorphosis of Rhea’ necklace in sterling silver, paint, porcelain, coral, by Nicole Polentas Melbourne 2010. 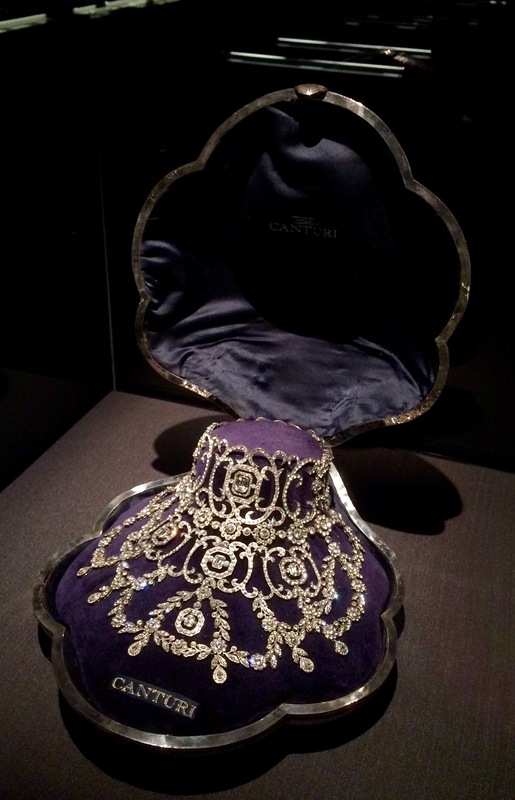 Canturi – as worn by ‘Satine’ (Nicole Kidman) in Moulin Rouge! (2001) and designed by Stefano Canturi. This one is silver and cubic zirconia, however the original necklace has 1308 diamonds, totalling 134 carats, making it the most valuable piece of jewellery ever created for a motion picture. The exhibition is open until 20 September, 2015 at Sydney’s Powerhouse Museum. TGW Q+A: Elisa Heimann, Agent Costume.